For module 04, we will do something different - since we have discussed networks, we will create a depiction of our own network(s). Using a mindmapping tool, create a network diagram of your information world. The resultant map should describe your "information network"
and your knowledge networks that inform you in all areas of life. Use any mindmapping or brainstorming tool to develop your network diagram. If you know of another networking tool, you may use that tool instead of the ones recommended above. Take your pick of your options, but ensure that the instructor can see your work. 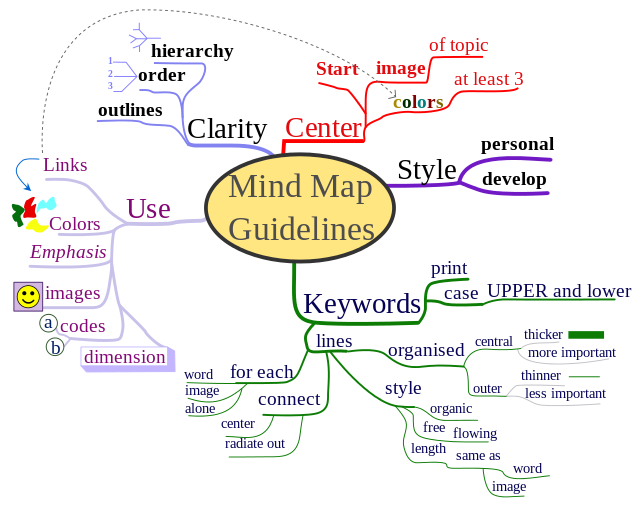 Put a link to your mindmap in your Sakai dropbox.